When shopping for a new Honda, there are a variety of factors that are important when making a smart buying decision. At Germain Honda of Beavercreek, you’ll enjoy personalized attention from our dedicated staff of Honda experts, competitive pricing, along with exceptional service and a collection of amenities. Included with the purchase of your new Honda is our exclusive Lifetime Loyalty Protection Program — giving you mechanical breakdown protection for as long as you own your vehicle*. You’ll be able to drive with total confidence from knowing that you’re protected from unexpected repair bills. This exclusive program protects you from mechanical breakdowns to the following major assemblies for as long as you own your vehicle*. 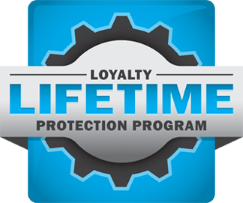 In order to enjoy the benefits of our Lifetime Loyalty Protection Program, you must return to Germain Honda of Beavercreek to perform the maintenance services at the specific intervals described on your Lifetime Service Certificate and at your expense. See Germain Honda of Beavercreek for complete program details. All internally lubricated parts, water pump, harmonic balancer and its bolt and pulley; timing belt and tensioner, engine mounts, cylinder block, cylinder heads, intake manifolds, exhaust manifolds without internal catalytic converter; valve covers and timing cover if damaged by an internally lubricated part, seals and gaskets only in conjunction with the repair or replacement of a Covered Part. In the event of a Breakdown covered by this Certificate which requires at least two (2) hours of labor repair, we will pay or reimburse you for receipted expenses to rent a replacement vehicle (from a licensed rental agency) while your vehicle is in our service department. Coverage will be provided to you up to a maximum of thirty ($30.00) dollars for every eight (8) labor hours, or portion thereof, of applicable labor time to complete the repair, up to a maximum of ninety ($90.00) dollars for each repair visit. In addition, a maximum of one (1) additional day of rental applies for inspection/parts delay. No deductible will apply to this benefit. In the event of a Breakdown covered by this Certificate, we will pay or reimburse you for receipted towing expenses to have your vehicle towered to our service department up to a maximum of fifty ($50.00) dollars per occurrence. No deductible will apply to this benefit. All internally lubricated parts, torque converter, transmission mounts, transmission/transaxle case, transfer case body, extension housing, transmission pan and bell housing, if damaged by an internally, lubricated part. Seals and gaskets only in conjunction with the repair or replacement of a Covered Part. All internally lubricated parts, front and rear wheel drive axle shafts and bearings, constant velocity joints, universal joints, drive shafts and yokes, center support bearings, differential housing if damaged by an internally lubricated part. Seals and gaskets only in conjunction with the repair or replacement of a Covered Part. *Restrictions may apply. 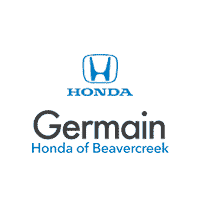 See Germain Honda of Beavercreek for complete program details.